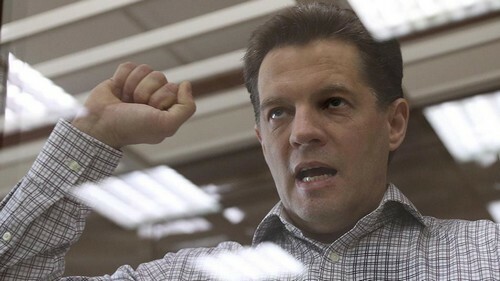 A Russian court has sentenced Ukrainian journalist Roman Sushchenko to 12 years in jail on charges of spying for Ukraine. Russia’s FSB Security Service detained Sushchenko, 49, in 2016 after he flew into Moscow from Paris where he worked as a correspondent for Ukrainian state news agency Ukrinform. He was accused of gathering secrets about Russia’s military, charges which he has denied. Mark Feygin, his lawyer, said on Monday a Moscow court had found his client guilty of espionage and sentenced him to 12 years in a maximum security prison. Feygin said he would appeal against the verdict on Tuesday. The state prosecution had asked to put Sushchenko behind bars for 14 years, the Mediazona news website reported. The Ukrainian Foreign Ministry condemned the verdict as unlawful and politically motivated.